Premium glossy labels offer a unique oval shape to provide a contemporary look for your company image. The print-to-the-edge capabilities accommodate impactful, colorful designs that get your brand noticed. 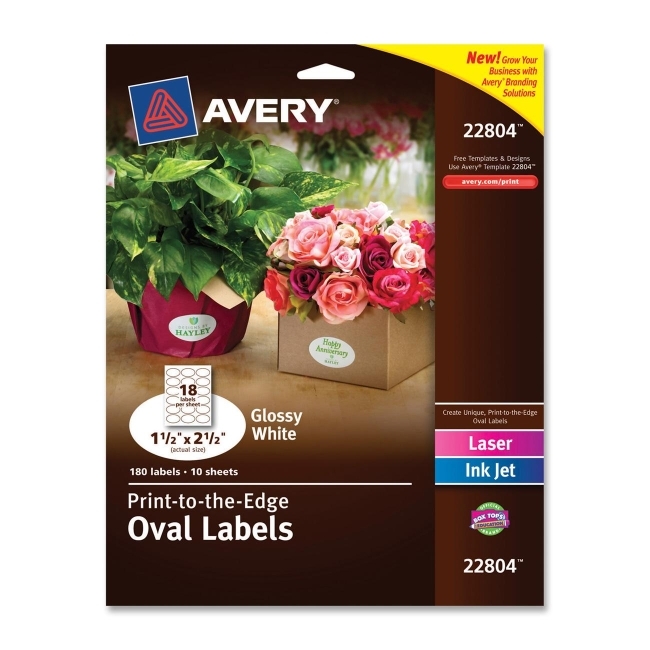 Labels are easy to format with free online templates and designs. Self-adhesive labels are compatible with laser and inkjet printers. Each sheet contains 18 labels.